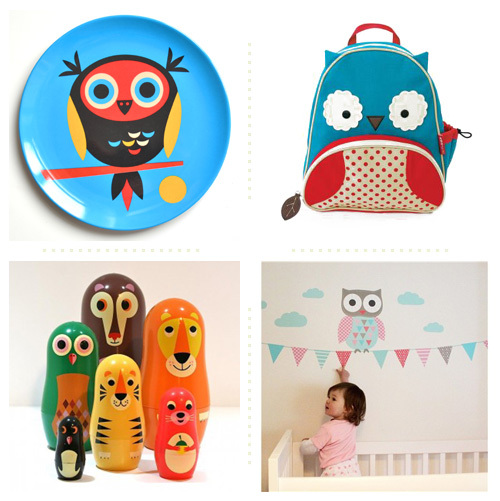 Peanut and Pip is an online boutique based in the UK that mostly sells quirky and beautiful stuff for children. They are constantly adding more things online, not compromising on the quality at the same time. They make an effort to incorporate organic, ethical and sustainable production methods wherever possible. Visit their website for modern gifts, clothing and accessories by brands like Skip Hop, Isak, Djeco, Ingela P Arrhenius and many, many more. 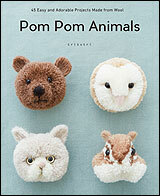 Becky the founder of Peanut and Pip has graciously offered a $50 gift certificate to one lucky reader of My Owl Barn. The winner will be able to use the certificate towards purchasing anything from their website. This giveaway is open internationally! Please note: some items on the website are not available for international postage (due to the size/weight) but this is clearly marked on those particular items. Leave separate comment for each of the following thing you do. 1. You must be a follower of My Owl Barn (click here to follow My Owl Barn). Leave a comment letting me know that you are a follower. I'll announce the winner on April 1st. Update: Grace is our winner. Congrats! Thank you all for participating. I liked My Owl Barn on Facebook! I liked Peanut & Pip on Facebook! I'm a follower and have "liked" both of those pages. My daughter and I love owls - thanks so much for the contest! I did all three! I am a follower, and I liked both "My Owl Barn" and "Peanut and Pip"! Love this blog!!! LOVE this. I am a long-time follower (although I guess that's going away soon?). I am a Facebook fan of My Owl Barn. I am now a happy FB fan of Peanut and Pip! I follow My Owl Barn through RSS. I liked My Owl Barn on FB. OMG they have such cute owl things there! I have liked on Facebook! I definitely love the things posted - Thank you! I also follow the blog (didn't know I actually did)! Cheers! Oh, I love the nesting dolls! 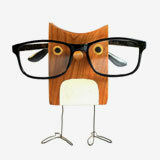 I follow My Owl Barn through Google Reader! thank you so much, all their products are so cute! I liked peanut and pip on facebook. I'm a follower and have liked. Peanut and Pip have such cute items! I follow My Owl Barn! LOVE IT! I've "liked" Peanut and Pip on Facebook. Hopefully my comments didn't duplicate, my browser crashed! I just found your blog and was enamored with your work so have followed your blog through blogger :) I don't do Facebook or I would have bounced in there too. Look forward to seeing more of your work. Just wanted to say I am definitely a "follower" - blog, Facebook and Peanut & Pip's facebook page too! Liked peanut and pip on facebook! Ilike (love) owlbarn on facebook! I liked peanut and pip on fb! I did all 3 ,, what a cute giveaway!! I'm a follower of Owl Barn. I'm an email follower of My Owl Barn! I am a follower of Owl Barn. I love your posts and the things you keep finding with Owls on them. I like Peanut and Pip on Facebook (RuthRowe) - this is not a good idea. Think i could have bought one of everything in I saw in the first 5 minutes on their site!! I am a follower of My Owl Barn! I Like My Owl Barn on Facebook! I really really would LOVE to win this!! I Like Peanut and Pip on Facebook! Did I mention I really would LOVE to win this?!!! I follow My Owl Barn on Blogger. I liked My Owl Barn and Peanut and Pip on Facebook. So cute! I am following. I liked you on FB as sarah solducky. Like Peanut and Pip on Fb as well! I follow My Owl Barn! I liked Peanut & Pip on FB. I liked "My Owl Barn" on FB! I liked "Peanut and Pip" on Facebook. I liked Peanut&Pip on Facebook! I did all three things. Would love to win this! Hi, I'm now a follower of Owl Barn! I liked peanut & pip in fb. I'm a long-time follower of Owl Barn - love it! I like Peanut & Pip on Facebook. 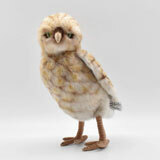 i am a follower of my owl barn thru google newsletter & really like you. i liked the owl barn on fb. i liked the penguins pull along. on p&p too. i liked p&p on facebook. 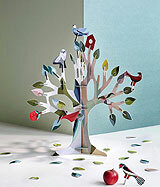 I liked owl barn on fb! Oh these pics are too too cute! 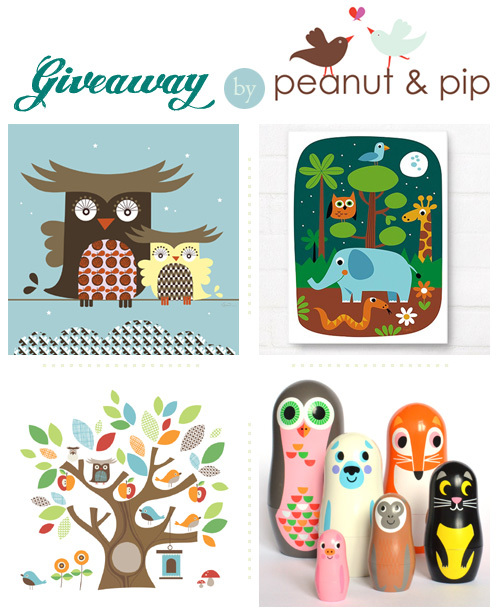 I am a follower on fb and of the blog and just liked Peanut & Pip. Crossing my fingers and toes that I will win! depuis la France !! Ja suis fan partout !! je joue ! I already liked MOB on FB. Also liked MOB on Blogger. Long time follower of your blog, liked on facebook and just liked P&P on facebook too! Love 'My Owl Barn! Now I'm a fan of 'Peanut & Pip'! I am a follower of My Owl Barn. I liked My Owl Barn on Facebook. I liked Peanut & Pip on Facebook. Hi Shrivani. I have liked My OwlBarn for a while and just added Peanut & Pip. 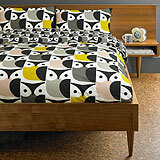 And I even emailed you a couple cute owly things I've come across and made :) Thanks again! 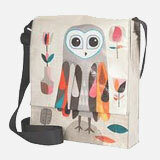 Thanks for the chance to win, I love your blog, I follow and I'm obsessed with owls!! I follow on facebook! Thanks! i am a loyal follower of My Owl Barn all the way from Gibraltar! i liked my owl barn on FB a long time ago!! I am a fan of owls. (: and these stuffs are so unique! I follow your blog and I love getting emails when you update! 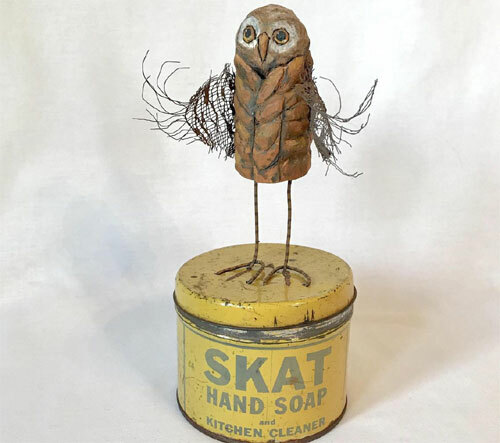 I liked My Owl Barn on Facebook, squea! I also Liked Peanut and Pip on Facebook! Follower of my owl barn blog. Likes my owl barn on FB. Likes Peanut and Pip on FB. I liked Peanut and Pip on Facebook, Iam a follower and I liked My Owl Barn on Fb. You're amazing!! I liked MOB on fb. I follow My Owl Barn. I Like My Owl Barn on Facebook as Tanya Rubezhov. I Like Peanut and Pip on Facebook as Tanya Rubezhov. I'm a follower and Liker on Facebook and Blogger. 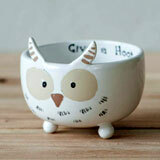 hallo I'm owl-bsessed so I'm following this cute blog,your page on fb and p&p on facebook!! crossing my fingers! !